oilpainting on canvas. Signed and dated in the lower right corner: „W. Geiger L. 1932“. („L.“ probably stands for Leipzig). The painting was executed before Geiger was forced to resign from his professorship at the Academy for Graphic Art Leipzig. During the Naziregime, his works were declared degenerated. 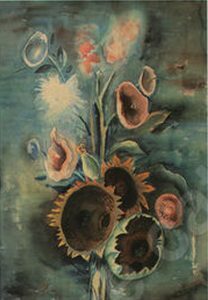 Geiger used the flower motive in the back of the portrait for his 1939 aquarelle „Sommerblumenstrauß“. Willi Geiger was born in 1878 in Schoenbrunn close to Landshut. He studied at the School for Applied Art and at the Art Academy Munich as student of Franz von Stuck. 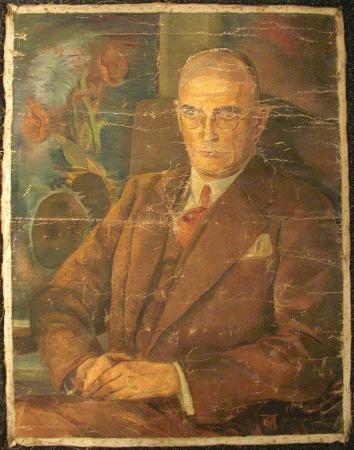 Fellow students were Hans Purrmann and Albert Weisgerber. By gaining the the State Award and the Schack stipend he stayed in Spain and Italy for two years. 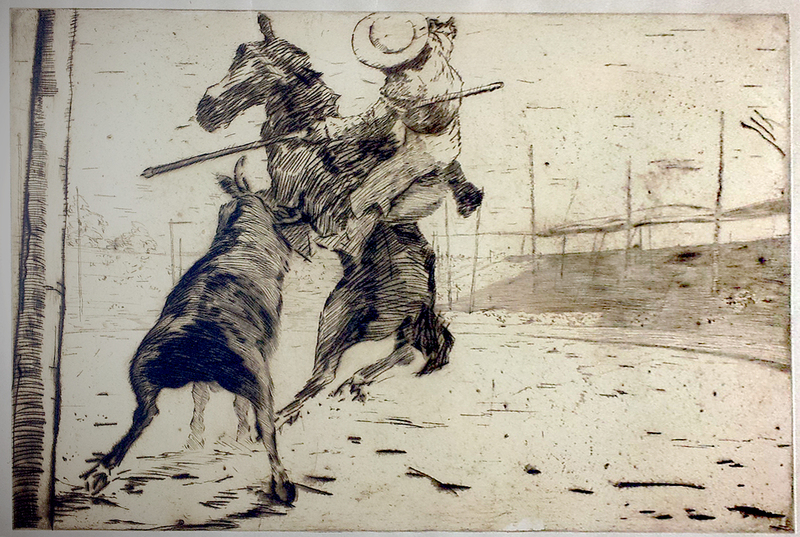 His well known series of bullfight etchings and drypoints begun (see the etching „Picador“ example below). In 1909, together with Adolf Schinnerer and Paul Baum, he received the Villa Romana Award granting a longer stay in Florence, Italy. Geiger had exhibitions at the famous Berlin galleries of Wolfgang Gurlitt and Bruno Cassirer. After WWI, he became professor at the School of Applied Arts in Munich and later on of the Academy for Graphic Art Leipzig. He was dismissed instantly due to political reasons from the position in 1932. In inner emigration, he lived during the Nazi regime in Feldwies at Chiemsee. After the war he started teaching again at the Art Academy Munich. 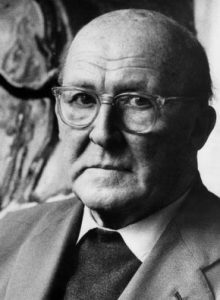 Geiger died in 1971 in Munich. Also in the collection: Willi Geiger, „Picador“, 1910s, large etching on paper.